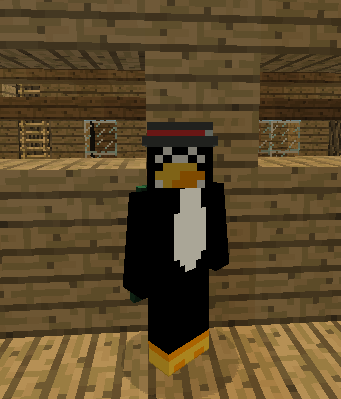 Tux is one of the original developers of the Minecraft School servers. He is responsible for guiding us into the safest and most reliable server plugins. When he can’t find the right one, he writes it for us! Both the land claim plugin and the grading plugin were custom built by his team. Watch for him in his penguin suit and cape when he makes his rare appearances on the servers.